As its name indicates, October was originally the 8th month in the Roman calendar, before Julius Caesar made it the 10th month, which it is still. In the Northern hemisphere, October brings the Harvest Moon on October 5. That Full Moon, of course, corresponds to the middle of the 7th month of Jewish calendar (Tishri) and hence the start of the third of the three Old Testament pilgrimage festivals, Sukkot, usually thought to have been the biggest of the festivals in Jesus' time. In the Church, the feast of Our Lady of the Rosary (originally Our Lady of Victory) occurs on October 7, and October is observed as the month of the Holy Rosary. October 7 is, of course, the anniversary of the great naval victory at Lepanto in 1571. Referencing that famous victory and the feast, in 1883, Pope Leo XIII officially dedicated the entire month of October to the Rosary and prescribed its recitation in the presence of the Blessed Sacrament daily during the month, a a once widely common practice that survived until the 1960s. All in all, unless cliamte change keeps the temperatures high, October is a month to look forward to! 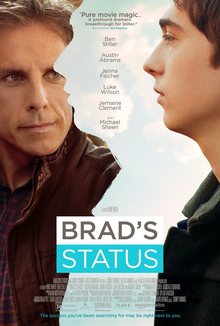 Brad's Status stars Ben Stiller as Brad Sloan, a middle-aged entrepreneur settled in Sacramento, who runs some sort of non-profit. He is married to Melanie (Jenna Fischer), who has some sort of government job. They have a 17-year old son Troy (Austin Abrams), who is apparently a very good student and musician. Brad and Troy fly to Boston for Troy's college admission interviews at Harvard and Tufts. The interplay between father and son stands out as one of the film's dramatic highpoints. In particular, Brad keeps comparing himself with several of his former college classmates, all of whom have been more materially successful than he has been. One is even on the cover of Architectural Digest. Another has worked in the White House, is a published author, and is recognized by strangers in restaurants. Another is already retired and lives in Hawaii Etc. In contrast, Brad worries not only that he has not made a lot of money but that he and his wife have settled for mediocrity. Brad's anxieties are reinforced by learning that he was not invited to one wealthy and prominent classmate's wedding in LA - presumably because he is not in the same league of wealth and prominence. His status anxieties are reinforced again by learning that his favorite Tufts professor died recently and that one of his more prominent classmates gave the eulogy, while he was not even informed. The result is that, throughout the trip, Brad keeps tormenting himself and behaving in ways which perplex and annoy others - including Troy, who wonders whether his father is having a "nervous breakdown." The lesson, of course, is that Brad's anxieties are rooted in reality. His classmates have largely done better, both in wealth, and prominence than he has. To the extent that that matters they represent success, and in comparison he has failed to make much of his life. The question, however, is to what extent that really matters or should matter. There is some evidence that the others' successes may not be all they appear to be. Even the wealthy and the prominent cannot completely escape the vicissitudes of life like illness and addiction. Even without that comparison, however, Brad has a good marriage, a happy wife, and a talented son - both of whom love him. Should that be enough? The film forces us to ask ourselves what is enough? Can we be satisfied with a good life or are we forever sentenced to compare ourselves with those who seem to enjoy a fabulous life? The film All Saints tells the true story of Rev. Michael Spurlock (okayed by John Corbett) and of his first assignment at All Saints Episcopal Church in Smyrna, Tennessee.. The real Michael Spurlock was born right here in Knoxville in 1968 and graduated from the University of Tennessee in 1993. In the late 1990s, he worked in editing and publishing in New York City, where he met his wife in Central Park. In 1999 they moved from New York to Tennessee where Michael worked as a salesman. In 2004 Michael entered Nashotah House Theological Seminary, and was ordained an Episcopal priest in 2007. He was sent to All Saints by his Bishop with the expectation that the church and its property would soon be sold. As with too many churches today, the church was broke and its membership dwindling. At the time, the church had only 25 members and a mortgage it couldn't afford. As pastor he was sent there to inventory the property and oversee its sale to make way for that great job-creator, a big-box store. But then, a group of refugees from war-torn Burma arrived - Karen farmers, led Ye Win (Nelson Lee). Despite opposition and all the ordinary practical difficulties, Michael decided to them stay and farm the land surrounding the church, thus providing them with food and shelter and hopefully creating much-needed income for the church. the film effectively and movingly retells this story - was shot at the actual All Saints church in Smyrna, with several real-life parishioners playing themselves. It highlights the challenges and conflicts that the pastor experienced - above all within himself as he struggled to discern what was God's will and what was his, and how to tell the difference. That, of course, is always a challenge in pastoral ministry, even in less dire circumstances. The movie shows how, despite all the combined efforts and hard work of the Spurlocks (pastor, wife, and son Atticus), the Burmese Karen refugees (so ably led by Ye Win), the remaining parishioners, others who came to their aid, the whole project seemed on the brink of failure; but., almost miraculously it seemed, the church was saved and survives to this day as a successful mission. Spurlock himself is now Curate at New York City's esteemed Saint Thomas Episcopal Church on 5th Avenue. The on-screen retelling of this inspiring story is also a welcome and much-needed corrective to the corrosive but all too prevalent mentality which judges the viability of churches and parishes in primarily economic terms – a mentality within the Church itself that could actually countenance a church being replaced by a big-box store. It also has the added plus – so salient in this era of anti-immigrant xenophobia in our country - of reminding us that welcoming the stranger remains one of the purposes of the Church and that, in the end, nothing may be better for the Church’s survival than devotion to its purpose. I have zero interest in football and zero interest in the fortunes of the NFL (which undoubtedly has done and will continue to do quite well without my interest). I had never even heard of Colin Kaepernick until he started not standing for the National Anthem as a protest and even then have paid little attention to the resulting controversy until it escalated to unexpected prominence as a national issue this past weekend, thanks to President Trump's deliberate highlighting of the issue. To the extent that professional athletes are high-status celebrities in our society, if an athlete chooses to use his position of prominence and privilege to advocate for those less prominent and less privileged, which I assume is Kaepernick's intention, that would seem to me to be a quite commendable use of one's status and privilege. Consider, for example, the good that Jimmy Kimmel, a TV celebrity of a different sort, may have accomplished this past week if his high-profile attack on the latest Republican assault on the Affordable Care Act successfully saves access to affordable coverage for those who need it! I have serious reservations, however, about the manner of Kaepernick's protest. The National Anthem, like the Flag, is a symbol of who we are as a nation, a symbol of what unites us across time and space and across whatever else divides us from one another. In a sense, the Anthem and the Flag function as substitutes for a monarch and the monarch's role in those countries fortunate enough to have one. They serve as a sort of symbolic social glue. To disrespect the Anthem or the Flag is inevitably experienced as disrespecting the whole society, disrespecting what we share in common, dividing us at our very core. This is seldom helpful - and is more likely hurtful to society over the long term. Even as a tactic, it is, I submit, generally a somewhat ineffective tactic. Instead of calling attention to the legitimate issue underlying the protest, it makes the protest itself the issue. Conflict is unavoidable in any society, no matter how well ordered. It is inevitable in a society such as ours with so many competing interests and ideas. Equally inevitably, however, a protest against injustice, which already presumes a degree of division in society, usually needs to reach across at least some of those divisions to appeal more broadly and widely. All political movements in a democratic polity are about widening their base and building coalitions with others to whose interests and/or ideals they must appeal. The most successful protest movements in American history (e.g., the Civil Rights movement, the Labor movement) have done this, and they have highlighted their identification with our society's purported values. In contrast, those movements have generally been unsuccessful that have emphasized their alienation from and their rejection of our purported principles and ideals and the rituals that symbolize them and thus bind us together. Kaepernick, of course, has every right to choose whatever tactic he wishes, even if it risks making him (rather than his cause) the issue and risks alienating people who might otherwise have been potential allies. But then the President intruded into the controversy Kaepernick's tactic had caused. He did so in a profoundly "unpresidential" way, suggesting players should be fired for their protests, thus causing more players to protest, and to focus their protests primarily on the president's intervention. .However one judges this particular president's political talents, clearly he has a notable talent for sensing and identifying divisions in our society and exploiting them. Like most emotions, anger can be positive or negative. It can be exploited for good or for ill. Jimmy Kimmel exploited his own anger and that of many others to try to salvage affordable health care for those less privileged than himself. But anger can also become an end in itself and be exploited simply to achieve or maintain power. The campaign Donald Trump waged in 2016 was all about anger - sensing, identifying, and exploiting anger to increase (rather than to resolve) conflict and to further divide society so as to secure political victory and then continue in office to increase conflict and further divide society. Ours is a society increasingly divided into two hostile tribes that share less and less in common and so seek only to hate and despise each other. Protesters who disrespect our few remaining shared symbolic rituals and politicians who stir up resentment against those protests play into each other's hands. When we no longer share even the most basic civic rituals in common - when the Anthem becomes a battleground between those who support and those who oppose a particular president or policy - we all lose. In the year 197, the famous North African Christian author Tertullian wrote, in words that have resounded repeatedly throughout the centuries: "The blood of martyrs is the seed of Christians." His words continue to resound in this age, which has seen more Christian martyrs than any previous time in the Church's history. 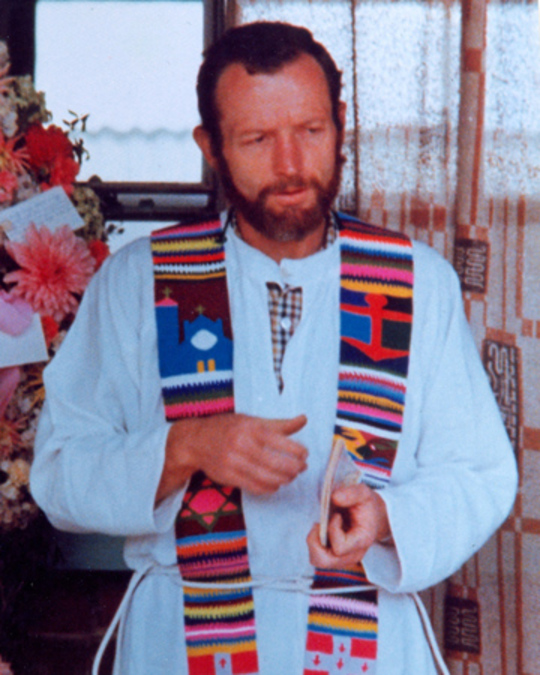 And today, what the Te Deum calls "the white-robed army of martyrs" celebrates an illustrious addition to its ranks - Blessed Stanley Francis Rother (1935-1981), martyred in Guatemala in 1981 and beatified today in his home diocese of Oklahoma City - the first U.S,-born martyr (also the first U.S-born priest) to be thus honored. Born in Okarche, OK, Blessed Father Rother grew up on a farm and was forced to abandon seminary on his first attempt because he did so poorly in his Latin studies. But Bishop Reed of Oklahoma, found him a place at Mount St. Mary’s Seminary in Emmitsburg, MD, where, with tutoring help, he. was able to pass and was ordained in 1963. After serving ins everal Oklahoma parishes, he volunteered as a missionary in Santiago Atitlan, Guatemala, in 1968. There, the poor student who had struggled to make it through seminary ended up mastering not only Spanish, but also the local Mayan dialect. He also put his farming background to good use helping local farmers in their agricultural techniques, and also helped set up a radio station, a health clinic, and a school. During the political unrest and violence of the late 1970s and 1980s, when many of his parishioners were killed, he too became a target. He made one last trip home to see his family in early 1981, but then returned to Guatemala, because - as he had written in a letter - "The shepherd cannot run at the first sign of danger." He was murdered in his rectory on July 28, 1981. No one has ever been charged for his murder. His heart was buried in his Guatemalan parish, and his body in Oklahoma. His Cause was opened 10 years ago in 2007. As the Archbishop of Oklahoma City has noted, his parish in Guatemala was an old one with a century-old church, which had been priestless for much of its history and had never produced a vocation on its own. Since his martyrdom, however, his parish has produced nine priests has seven more seminarians at present! 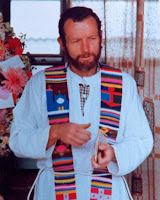 The Church in Oklahoma responded generously to Pope Saint John XXIII's summons in the early 1960s to the prosperous Church in North America to come to aid of its poorer neighboring Church in Latin America in the priestly holiness, pastoral devotion, missionary zeal, and heroic martyrdom of Blessed Father Stanley Rother, whose feast will henceforth be kept, according to the Beatification Decree, on the day of his death, July 28. His missionary ministry represented a life-long expression of the unity of North and South in the one Body of Christ. His heroic death, due to worldly powers' hatred on Christ and his Church, highlights the perennial presence of such hatred in the world and the permanent significance of the witness of martyrdom for the Church's mission in the world. It was exactly 60 years ago today - on Sunday, September 22, 1957 - that I received the sacrament of Confirmation (photo). In theory, Confirmation is the second of the three “sacraments of initiation,” and, then as now, the Catechism always listed Confirmation as the second of the seven sacraments. In reality, however, for me and most of my generation, Confirmation was actually the fourth sacrament (after Baptism, Penance, and First Communion), as it still is for most Latin Rite Catholics to this day. The most memorable thing about my Confirmation, I suppose, was the Bishop (photo). He was a Dutch Augustinian, Peter Canisius van Lierde (1907-1995), who at that time held the exalted office of papal sacristan, a post he apparently occupied for 40 years from 1951 through 1991. (A year later, he would be the one to administer the sacrament of Extreme Unction - better known now as “Anointing of the Sick” - to Pope Pius XII, a service he would repeat again in 1963 for Pope Saint John XXIII.) Ordained a priest in 1931, he earned doctorates in both theology and philosophy, and then headed the Augustinian College of Santa Monica in Rome, where he sheltered various refugees, military officers, Jews, and anti-fascist politicians during the war. In more recent years, the optimal age for confirmation has occasioned some debate in at least some circles in the Church. In those days, however, you got confirmed more or less whenever there was a Bishop available to come and do it. I was confirmed at the beginning of 5th grade, but had I not been “skipped” the previous year, I would have been in the 4th grade. I have seen my 1st Communion and Confirmation pictures so many times that it is hard to know for sure what is an actual memory. I certainly can remember memorizing beforehand the Catechism answer that “sacred chrism is a mixture of olive oil and balsam blessed by the Bishop on Holy Thursday.” And I remember asking for turkey to be served at the family party afterwards. As for the ceremony itself, what I most vividly remember was carrying a card between my fingers with my confirmation name on it. (I am clearly holding the name card in the photo.) When my turn came to kneel before the Bishop on his faldstool in front of the High Altar, a priest took the card out of my hand and announced my confirmation name to the Bishop (in what I would later learn was the nominative case). The Bishop then addressed me (in what I would later learn was the vocative case): Michaele, Signo te signo crucis; et confirmo te chrismate salutis. In nomine Patris, et Filii, et Spiritus Sancti. The utter blandness of that sacramental formula says a lot about how hard it has been to express Confirmation’s meaning, once the accidents of history had ripped it out of its original initiatory context! Bland the sacrament may have been, but not my confirmation name, Michael. My father had had a brother named Michael, but he had died young, and I had never known him. I chose the name not because of any relative or family connection but because I was fascinated by the figure of Saint Michael the Archangel - thanks largely to the Prayer to Saint Michael the Archangel, which we recited in English after all Low Masses, Saint Michael the Archangel, defend us in battle! As I recall, the Leonine Prayers were not particularly popular. There were always some in the congregation who fled from the church as soon as the Last Gospel was done, skipping the prayers altogether. Ironically, the prayers – especially the prayer to Saint Michael – have experienced a recent resurgence of popularity, particularly in more traditionalist circles. I say ironically, because, of course, one of the themes so often invoked by some liturgical traditionalists is an objection to bureaucratic papal tinkering with the liturgy (as opposed to supposedly “organic” development). Whatever their intrinsic merits or devotional appeal, there is just no way the Leonine Prayers can be viewed as anything but bureaucratic papal tinkering from above without any semblance of “organic” development. Of course, in those days I knew nothing about such issues. In Michael the heroic archangel who led the angelic army to victory over the Devil, a nerdy 9-year old found an appropriately masculine figure to identify with - and do so in a way which also affirmed my religious interests and inclinations. While there might be any number of elements in the old liturgy that I might like to see restored - like the Last Gospel, for example, or the old Offertory Prayers - I have absolutely no nostalgia for the Leonine Prayers, if for no other reason than that I have no nostalgia for Low Mass! The Individual components of the Leonine Prayers, however, are another story. I still can recite most of them from memory. The Prayer to Saint Michael still inspires many people today. Given the sorry state of the world, it would certainly seem as relevant today as it was in Leo XIII 's time. The biblical author wrote that early in the 2nd century B.C., but his observations seem as pertinent today as then, his conclusions as true today as then. All of us, individually and collectively, surely have had our share of experience with wrath and anger, and have certainly seen their consequences. Being sinners, as we all are, we may also, in our own lives and in our own behavior, also have hugged wrath and anger all too tightly, to our own detriment and that of the world. Wrath and anger certainly seem to be the primary descriptors of our public life as a nation, as we increasingly sort ourselves out into separate and mutually incomprehending geographical and cultural communities, while the world’s seemingly intractable social and political problems and conflicts continue to challenge us. The scriptures we just heard do not directly address those challenges. They do, however, say something important about who God is, what kind of relationship God has chosen to have with us, and what kind of people we are being called by God to become through the personal and social choices we make. The Gospel [Matthew 18:21-35] today focuses our attention squarely on forgiveness, which is sometimes referred to as “the odd man out among the virtues.” The forgiveness of which Jesus speaks so insistently is not another word for being nice, for going along so we can all get along. Nor is it what our therapeutically oriented society would have us focus on – letting go of hurts and resentments, for our own good, to get on with life. That may be good advice. It may make life less stressful. But the forgiveness of which Jesus speaks is something significantly more than that. Peter’s question – Lord, if my brother sins against me how often must I forgive? – is a very humanly framed question. It is not about forgiveness, as such, but about me. What is the minimum that I have to do to qualify as a good person? Jesus answers instead with a parable about God – about what God is like, how God acts, and what God’s actions mean for us, and what conclusions we need to draw from that. The debtor in the parable is a stand-in for each of us. His absurd attempt to make a deal and his ridiculous promise to pay his debt in full are absurd and ridiculous because so obviously impossible to fulfill. They only show how hopeless the situation actually is. God obviously understands this. So he forgives our debt. Sadly, however, the debtor servant seems to believes he somehow struck a deal with the king, which is what humans do whenever we think we have somehow placated God on their own. This is not unlike the familiar arrogance of those who think they have earned their advantages all on their own, who think they have pulled themselves up the ladder of life, whereas in reality they have grasped the hands of others and walked the path others have paved for them. The parable tells us that God does not make deals. Indeed he disdains deals and deal-making. What the parable tells us is that God does not want our sins to be a source of hostility between us. So he reconciles us on his own. He forgives our sins, cancels our hopelessly unpayable debt, without any deals or deal-making. Forgiveness is free. And, moreover, it makes us free – free from the fearful machinations of slaves for an altogether new kind of relationship with one another. So now we too can forgive – and indeed have to forgive, just as God forgives us. Sadly, the servant who was forgiven the large debt thought that it was his own cleverness that had hoodwinked the king. So he failed to experience the freeing effects of forgiveness in his own life – something that showed right away in his treatment of his fellow servant. Being angry, remaining resentful, holding grudges, seeking revenge – all that is the most natural thing in the world. It is our experience of something totally new and different – the new life we have received through God’s forgiveness – that makes it possible for us, as people who are conscious of having been first forgiven ourselves, to become agents of God’s reconciliation in our world. And so, assembled here today (as every Sunday), we may be burdened by the weight of our debt and the fragility of the social bonds on which we depend for our survival in a hate-filled world. But, gathered together as one, as members of the Body of Christ, we feel the forgiving power that frees us for something so new and so different. Homily for the 24th Sunday in Ordinary Time, Immaculate Conception Church, Knoxville, TN, September 17, 2017. I have finally gotten around to reading Mark Lilla's short little book diagnosing the contemporary malaise of liberal democratic politics and proposing perhaps the most classical. of solutions. That book is The Once and Future Liberal: After Identity Politics (Harper Collins, 2017). Writing in the wake of the 2016 election, Lilla looks at what has been happening to American society and politics for several decades. Widely perceived as tactical advice for Democrats serious about escaping their electoral desert, Lilla's book is much more than that. In fact, it addresses the underlying failure of political philosophy that has brought not just the Democratic party but our entire society to this point of political and moral catastrophe. Lilla writes as an unabashed Liberal, angry about "the great liberal abdication" that began during the Reagan years. Borrowing from a certain strain of American religious language, Lilla speaks of two "Dispensations" - first, a political Roosevelt Dispensation, "where citizens were involved in a collective enterprise to guard one another against risk, hardship, and the denial of fundamental rights" and whose "watchwords were solidarity, opportunity, and public duty," and, then, an anti-political, individualistic Reagan Dispensation, whose "watchwords were self-reliance and minimal government." For those who don't remember, Lilla provides a history lesson about where things went wrong in the 1970s, resulting in the end of the Roosevelt dispensation and the rise of the Reagan Dispensation. (He adopts the widespread view the Carter's was a "disjunctive" presidency, marking the end of an older era without inaugurating a new one.) Of course, one of the dilemmas that has historically bedeviled American society is that a kind of obsessive libertarianism has always existed as a kind of undercurrent polluting American politics. In the past, however, such tendencies were usually counter-balanced by other "ideas or beliefs or feelings that once muted the perennial American demand for individual autonomy " In the Reagan Dispensation, however, such "ideas or beliefs or feelings" have largely "evaporated." He notes, for example, how in Reagan Dispensation American religion "faith was adopted to the ambient libertarianism rather than softening it." Lilla reminds readers how "remarkably amoral" Reagans's vision of a good life was. While Reagan didn't "explicitly preach or encourage hedonism" or "extol the culture of impunity that developed during his presidency," neither did he criticize any of that. "He understood our libertarian society too well to make that mistake." Lilla's alternative to Reagan Dispensation anti-politics is a return to authentic politics. this is where he runs up against what he sees as contemporary liberal Democrats' great failures.For one thing, they have been too obsessed with the presidency, neglecting "the daily task of winning over people at the local level." Worse still, the old liberal politics of solidarity have been replaced by "a failed pseudo-politics of identity," with its "resentful, diuniting rhetoric of difference." This prompts yet another history lesson. Lilla recalls how in the U.S. (unlike elsewhere) the state guaranteed religious groups' right to identify with their churches simultaneously with the state. "The citizenship bond took precedence because without it the Christian bond could not be protected." Something similar happened with the unique way in which America incompletely but sufficiently assimilated its immigrants. "New immigrants identified strongly with the country and were proud to become citizens because it did not demand full cultural assimilation. A more capacious concept of citizenship absorbed ethnic attachment rather thane excluded it." Lilla also takes aim at of "movement" politics, the baneful legacy of the New Left. He recalls how political parties are centripetal by design: "they encourage factions and interests to come together to work out common goals and strategies" and "oblige everyone to think, or at least speak, about the common good." Movements, however, are centrifugally oriented. They encourage "splits into smaller and smaller factions obsessed with single issues and practicing rituals of ideological one-upmanship." Lilla he takes special aim at the most destructive incarnation of this on contemporary college campuses, where identity politics has increasingly poisoned even the possibility of reasoned political debate. "So classroom conversations that once might have begun, I think A, and here is my argument; now take the form, Speaking as an X, I am offended that you claim B." In what might pass as the book's most paradoxical put-down, he calls Identity "Reaganism for lefties." The book's final chapter, labelled "Politics," begins with Max Weber's famous statement, "Politics is the slow, steady drilling through hard boards." I'd say that remains as true and relevant today as it was when Weber famously said it in "Politics as a Vocation" in 1919 - further evidence that what Lilla is recommending - and what our country requires- is less something new than a retrieval of some very old, classical conceptions. The pre-eminent such conception is, of course, citizenship. For the past two generations, Lilla argues, "America has been without a political vision of its destiny. ... There are just two tired individualistic ideologies intrinsically incapable of discerning the common good and drawing the country together to secure it under present circumstances." As an alternative, he proposes four lessons as an alternative:to this deteriorating state of affairs. they are "the priority of institutional over movement politics; the poser of democratic persuasion over aimless self-expression; and the priority of citizenship over personal or group identity" - and, fourth, "the urgent need for civic education in an increasingly individualistic and atomized nation." This is where he goes back to being both a political tactician as well as a political theorist. he revisits the sad history of how the democratic party eviscerated its own institutions in its post-1968 reforms. Regarding, his second priority, he recalls how liberals learned the wrong lesson from the civil rights movement. (For obvious historical reasons rooted in the anti-politics of the Jim Crow era, the Civil Rights movements had to rely on the federal courts.as the only branch of the government it had realistic access to.) He argues that distrust of the legislative process (which requires persuading different people and may call for compromise) and a consequent reliance on courts has "detached liberal Democratic elites from a wider base." This has created "the habit of treating every issue as one of inviolable right, leaving no room for negotiation. and inevitably cast opponents as immoral monsters, rather than simply as fellow citizens with different views." Lilla illustrates identity liberals' allergy to democratic persuasion with a humorous analogy to fishermen who "remain on shore, yelling at the fish about the historical wrongs visited on them by the sea, and the need for aquatic life to renounce its privilege. All in the hope that the fish will collectively confess their sins and swim to shore to be netted." In conclusion, it is democratic citizenship as once widely understood and classically conceived that emerges as the ultimate solution. Citizenship both "is a crucial weapon in the battle against Reaganite dogma because it brings home the fact that we are part pf a legitimate common enterprise" and also "provides a political language for speaking about a solidarity that transcends identity attachments." Citizenship alone can unite people across class and other categories. It may be the only language left that can educate Americans about duty to one another. In theory religion should be able to do so too. In fact, I would argue that early Christianity succeeded in part because it provided a newer and more inclusive kind of community at a time when the older models of civic citizenship were breaking down under the Roman Empire. While Lilla considers the U.S. "still a churchgoing nation," he correctly diagnoses religion's contemporary weakness: "the gospel now being preached, particularly in evangelical circles, has been infected with the same individualism, selfishness, and superficiality that have infected other sectors of American life." I especially like Lilla's appropriation of religious language in the service of citizenship - for example, image of taxes as "a kind of democratic tithe that goes to help fellow citizens." Ultimately, I think,, part of in the early 21st century is that no one of us is ever fully free either from either contemporary American obsession - individualism or identity. Lilla himself, for example, admits to being an abortion-rights absolutist - although he takes his own advice seriously enough to acknowledge that others disagree with him and so to regret the bridge-burning attitude represented, for example, by the exclusion of Governor Casey from the 1992 Convention and more recently by the January 2017 Women's March. For a political operative looking for a new strategy to revive liberal electoral fortune, this book is a must read - although what it has to say challenges almost everything that is now normative in contemporary politics. More importantly, this book is a must read for anyone worried about the direction our country has been heading and is open to re-imagining a politics not hopelessly trapped in individualism and identity. Independent Senator Bernie Sanders has introduced a "single-payer," Medicare-for-All bill in the Senate, and this time he has some 15 or so co-sponsors (all Democrats). No one seriously expects his bill to go anywhere in the current Congress. So it's most likely effect will be to add further to the disruption in the Democratic party (of which, it should never be forgotten, Sanders is still not a member). As long as I have thought at all about health-care politics, I have consistently favored Medicare-for-All, as the obvious and only really practical solution. That said, I remain profoundly skeptical regarding the likelihood of its getting enacted anytime soon. Paradoxically, what it has going for it - besides its inherent obviousness - is the Republicans' obstinate opposition to any serious alternative. The fear of "single-payer" health care for all was what motivated conservative thinkers to propose alternative ideas in the 1990s. Out of those ideas eventually developed Romneycare on the state level in Massachusetts and then Obamacare on the national level. Their fanatical hatred for President Obama prevented Republicans from supporting this conservative, market-oriented plan, an they continue to try to undermine it to this day, increasingly leaving the country to contemplate two stark alternatives - millions of people with no coverage at all or some sort of "single-payer" system. That said, the obstacles to enacting any sane solution to this politically created problem remain many. For one thing, I wish partisans of Medicare-for-All would call it that - and only that - all the time. "Single-Payer" sounds frankly foreign, at best Canadian. Of course, there are some very good foreign models out there, but Americans are chronically allergic to foreign ideas. 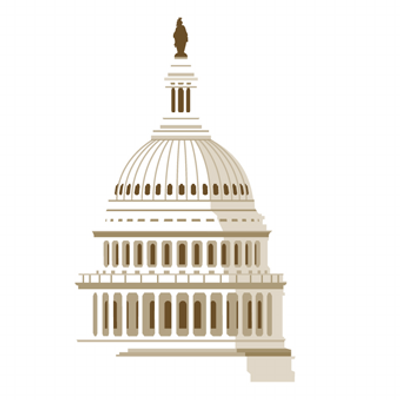 Medicare, on the other hand, is an established part of the American health-care landscape, one of its more successful components, and - most important - one that is very popular. But the bigger problem - as Jonathan Chait recently pointed out - is the fact that some 155 million Americans already have (and are largely pleased with) employer-provided health insurance coverage.. (See "Bernie Sanders’s Bill Gets America Zero Percent Closer to Single Payer," http://nymag.com/daily/intelligencer/2017/09/sanderss-bill-gets-u-s-zero-percent-closer-to-single-payer.html). Logistically, phasing out employer-based health-care coverage would be an enormous task. Politically, getting people already content with such coverage to support replacing it with higher taxes for Medicare-for-All (while likely in everyone's long-term best interest) would be challenging, to say the least. What Sanders, et al., should be proposing is a phased-in progressive lowering of the age of eligibility for Medicare, without immediately eliminating employer-based coverage. Programs that are available to all (e.g., Social Security, Medicare) are usually popular - unlike programs that are targeted to help the poor (e.g., Medicaid). So just keep expanding Medicare to increasingly lower age cohorts - on the same terms as at present for seniors (who remain free, if they are still working, to have employer-provided coverage as their primary plan, while still being eligible to avail themselves of medicare once they need it). While I would personally prefer the more logical and more efficient step of eliminating private health insurance once and for all, I believe the only practical approach would be to evolve to that point by prioritizing a social commitment to Medicare-for-All and making it more and more easily available to more and more Americans. Steve Bannon has ignited yet another firestorm with his obnoxiously "ridiculous" and "insulting" (to use the two adjectives New York's Cardinal Dolan employed) comments about the Church's support for the rights and well-being of immigrants. If anything, the fact that the U.S. Bishops have actually stepped up to the challenge of vociferously defending the rights and well-being of people (who are in many instances their own members. for whom the Church may be one of the very few institutions they can turn to or trust) to me speaks very well of the Bishops and of the countless clergy, religious, and lay Catholics who have devoted themselves to providing pastoral care and all sorts of necessary social assistance to our immigrant brothers and sisters. "Where he [Bannon] is right, albeit in spite of himself, is that we need the undocumented immigrants coming to this country largely from Latin America. We need them to fill our churches because the Catholic Church in America has been in danger of becoming an upper middle class club for people with conservative ethics. We need these immigrants to remind us that the Gospel is good news to the poor. We need these immigrants because the secularizing force of wealth and materialism has robbed the Catholic Church in this country of one of its most obvious core beliefs: The Gospel is good news for the poor." In today’s Gospel [Matthew 18:15-20], Jesus famously outlines a procedure for his disciples to deal with conflicts that may occur within the community of the Church - what we might call a procedure for “due process in the Church.” But unlike “due process” in secular law, with its concern to vindicate individual rights, Jesus instead outlines a process aimed at reconciliation. In that regard, it reminds me a little of the process in canon law for dealing with problem people in religious life. The misbehaving member is warned and given a chance to change several times before the process ends in expulsion. That’s because the goal of the process is not expulsion but rather the person’s reconciliation with the community. We live in a world torn apart by constant conflict. We know, of course, that conflict has always been a part of the human condition – at least since Cain killed Abel. But, thanks to our globalized consciousness and modern media, we are much more aware of the big macro-conflicts that threaten the world’s security and stability. International, intra-national, and tribal disputes, conflicts over increasingly scarce resources, civil wars, and terrorist attacks dominate the headlines and preoccupy policy makers around the world. Meanwhile, we as a nation are more divided and conflicted than ever before in our history since our own Civil War. Books like The Big Sort describe how we are separating ourselves from one another geographically and in virtually every other way. Parties used to have disagreements about policies, which would then be discussed, debated, and eventually even resolved by negotiation and compromise. Now, however, policy differences are mainly mascots for competing teams whose main concern is just to hate and despise each other. And, besides all those big, macro-conflicts, there are, of course, all the ordinary conflicts and disputes that divide families, break-up marriages, terminate friendships, and constantly wreak havoc on communities both large and small. Of course, at least in this world, not all problems are solvable, as we know - however reluctant we may be at times to admit it. In human terms, some problems just can’t be satisfactorily solved; some conflicts just can’t be peacefully reconciled; and it is an important part of practical human (and political) wisdom to know which is which and how best to deal with them. So, in the process Jesus outlines in today’s Gospel, expulsion may end up being necessary, but always only as a last resort. As Pope Francis wrote in his Apostolic Exhortation Evangelii Gaudium (The Joy of the Gospel), “Evangelization consists mostly of patience and disregard for constraints of time” [EG 24]. Likewise, in the process Jesus outlines in today’s Gospel, expulsion comes only after several patient attempts to avoid it. Even then, however, the story doesn’t quite end there. Jesus simply says: If he refuses to listen even to the church, then treat him as you would a Gentile or a tax collector. We know that, in the ordinary world, devout, observant Jews avoided such people as much as possible. Yet, when Jesus says treat him as you would a Gentile or a tax collector, there is, – coming from Jesus – a certain nuance to that, because, of course, we are all aware of how Jesus himself treated Gentiles and tax collectors. Such people may indeed be outside the community, and they may be there because of their own bad behavior, but they are not forgotten. 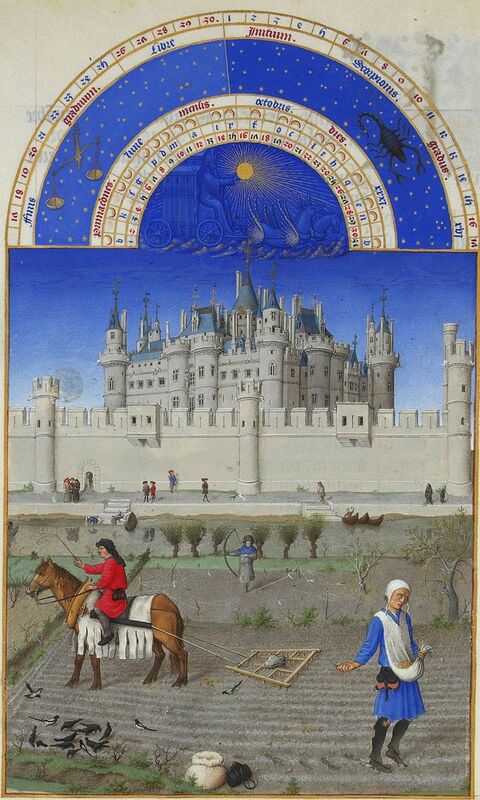 In the bitterly divided North African Church of the 4th century, Saint Augustine (354-430), speaking of the heretical and schismatic Christians he opposed so vigorously, said: “My friends, we must grieve over these as over our brothers. Whether they like it or not, they are our brothers” [Commentary on Psalm 32 (33)]. So it is hardly surprising that the Church has always recognized reconciling wanderers back to the mainstream of the Church as one of her constant concerns. Canon law specifically mentions as one of the duties of pastors “to make every effort … so that the message of the gospel comes also to those who have ceased the practice of their religion.” [CIC 528, 1] If evangelization, what Pope Paul VI called “the essential mission of the Church,” means bringing the good news to those who have not yet fully heard it, then another side of that is bringing the good news again to those who may well once have heard it but who, for whatever range of reasons, have rejected or forgotten it or reinterpreted it as bad news. The power Jesus entrusted to his apostles to bind and to loose includes both authority to expel and authority to readmit. Elsewhere, when Saint Paul addressed this issue writing to the Christian community in Corinth, which had taken disciplinary action against an offender, Paul reminded them that the offender’s eventual readmission should remain the goal of the process [2 Corinthians 2:5-8]. So whatever we are or do – whether as individuals, or as a family, or as a social or political community – and whatever we are or do as a parish or as a Church – the goal (perhaps not always achievable in every instance, but always our goal nonetheless) must always be to bring us all back together, so that we may eventually all be together, both here and now and forever in God’s kingdom. As Cardinal Walter Kasper famously wrote: “Mercy is the best and most beautiful news that can be told to us and that we should bring to the world. As God by his mercy always gives us a new chance, a new future, our mercy gives future to the other, and to a world that needs it so much” [“The Message of Mercy,” America, September 15, 2014]. Homily for the 23rd Sunday in Ordinary Time, Immaculate Conception Church, Knoxville, TN, September 10, 2017. Three Cheers for England and Wales!